Revathi medical center has the best Neurosurgery Department with complete facilities for Cranial Microneurosurgery and Spinal Neurosurgeries which takes care of Trauma and Neurocritical care, surgical Neuro-oncology, Spine surgery, Pediatric Neurosurgery, Neurovascular surgery, Skull base surgery ,Interventional Neuroradiology, Peripheral Nerve surgeries. It is a major Neurotrauma centre in the region with neurosurgery operating theater fully equipped to perform all neurosurgical procedures. It has 24 hour inhouse advanced 4slice CT Scan , Digital Xray, Blood bank,Computerised biochemistry and microbiological laboratory. All Neuroemergency patients are given the atmost care in the most needed Golden hour by Neurosurgeon, Neurologist, Anesthetist, ICU specialist and dedicated ICU staffs. The Neurooperating theatre with laminar flow, Neurosurgical drill, Neuromicroscope, C-arm fluoroscope system is ready round the clock to save the patients within the Golden hour. The state of art NeuroICU which is the largest and more sophisticated in the region with round the clock neurointensivist and dedicated staffs is well equipped with modern ventilators, multipara monitors, for closely observing the patients improvement. 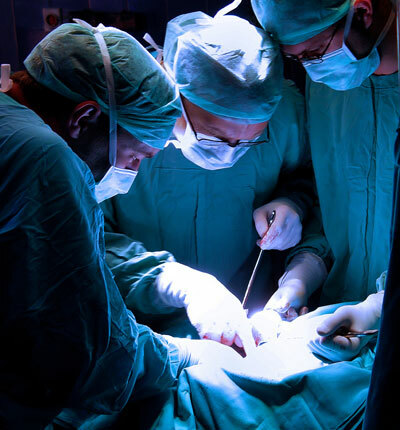 All specialized Neurosurgical operating procedures are undertaken including Traumatic Brain injury with evacuation of extradural hemorrhage, subdural hemorrhage, intracerebral hemorrhage, intraventricular hemorrhage, skull bone fractures, frontal sinus injury, base of skull fracture, csf rhinorrhea, csf otorrhea, optic nerve decompression, brain tumour surgery for glioma, meningioma, pituitary tumour, craniopharyngioma, cerebellopontine angle tumour including schwannoma, posterior fossa tumour, paediatric brain tumours like medulloblastoma, ependymoma, arachnoid cyst surgery, surgery for stroke, arteriovenous malformation, brain abscess tapping and removal, traumatic spinal cord injury, anterior cervical discectomy and fusion, anterior cervical corpectomy, anterior cervical plating, foramen magnum decompression, occipitocervical fusion, C1 C2 fusion, lateral mass screws, cervical laminectomy, cervical laminoplasty, cervical microforaminotomy, surgery for potts spine, pedicle screw fixation for dorsal and lumbar spine, surgery for lumbar canal stenosis, lumbar disc, cauda equina syndrome, microlumbar discectomy, spinal cord tumours, congenital spinal cord problems, tethered cord, neurogenic bladder, congenital defect like hydrocephalus, chiari malformation, meningomyelocele, dermal sinus and many more. The vital part in any Neurological problem is Rehabilitation, which is taken care with atmost importance directly by the Neurospecialist. There is a continuous medical education program to impart the knowledge of Neuroscience and critical care for the paramedical staff to maintain the quality of care for all patients. Regular clinics are run in specialized areas of Neurosurgery like Spine Clinic, Headache Clinic, Epilepsy Clinic, stroke clinic.s.